Why did Tyler DeLeon die? At the time of his autopsy last January, tiny Tyler DeLeon weighed precisely as much as he had three years earlier: 28 pounds. For months at a time, the 7-year-old foster child’s weight remained flat, or barely changed, according to an internal state report obtained by The Spokesman-Review this month. His death – and the months-long criminal investigation that has followed – raised a perplexing question: Why was Tyler DeLeon so small? Severely dehydrated at the time of his death, Tyler was well-known to school teachers and social workers, who had catalogued a host of injuries, including a fractured femur, a deep laceration on his hand and numerous bruises. The boy’s foster mother, Carole Ann DeLeon, said Tyler’s bizarre eating and drinking habits led him to drink from toilets or puddles on the ground, and she contended his condition could be “life threatening,” according to the internal state report. Yet state Child Protective Services records and Stevens County court documents report multiple allegations that DeLeon withheld food from children in her care – a charge her attorney emphatically denied earlier this year. In the internal report to Child Protective Services, a prominent pediatrician who reviewed the DeLeon files found “strict limitations” to Tyler’s food and water intake, including the placing of an alarm on the boy’s door to prevent him from going to the bathroom to drink. Sugar found “a reasonable concern to believe that Tyler’s growth delay was in at least part due to emotional and calorie deprivation,” according to the report. Nearly 10 months after Tyler’s death, the Stevens County prosecutor has not announced whether he will charge DeLeon or her daughter, Christina Burns-DeLeon, 29. The case has been handled as a “homicide by abuse and criminal mistreatment investigation,” according to a search warrant filed in Stevens County in March. In an interview earlier this year, attorney Carl Oreskovich said DeLeon had cared for several children in her home for years and that the allegations of abuse were unsubstantiated. DeLeon regularly took Tyler to a doctor who found no indication he was malnourished, Oreskovich said in the previous interview. Oreskovich did not respond to repeated phone calls last week. Sugar wrote that death by dehydration – Tyler’s official cause of death – is “extraordinarily rare” for children in the United States. But she cautioned that she did not have specific details on the final days of Tyler’s life, when he reportedly fell ill.
“This information is essential to assessing the circumstances of his death,” Sugar wrote. Medical literature lists several reasons why a child may not grow or gain weight at a normal rate. Among other causes, genetic abnormalities, heart problems, malnutrition and endocrine disorders may play a role, Sugar wrote. Some children are naturally smaller and more slender, she continued. In rare instances, Sugar wrote, a child may suffer from psychosocial dwarfism, a condition in which neglect and abuse may prevent a child from growing normally. Sugar found that Tyler grew at a normal rate until 9 months of age – after which he had a “flat line” in height and weight for the next year of his life. At his death, he was substantially below the 5th percentile for height and weight, the report said. A second boy in the DeLeon home was also failing to develop properly, Sugar wrote. But after the second foster boy was removed from Carole Ann DeLeon’s care in 2004, he gained 18 pounds in four months – nearly a 43 percent increase, according to Sugar’s report. The boy’s new physician said he had been “severely malnourished over the past couple years, and this has contributed to (if not caused) his growth delay and weight gain,” according to CPS service records obtained by The Spokesman-Review. According to Sugar’s report, a third foster child – a young girl – once became so dehydrated she required intravenous fluids. The girl was also low weight, the report said. In August 2003, Tyler was placed in respite foster care for 10 days while DeLeon, who works as a paralegal with the U.S. Attorney’s Office in Spokane, was on vacation. “At that time, in less than two weeks, he gained seven pounds,” Sugar wrote. Yet his weight barely changed, according to the report. From the age of 10 months until his death on his 7th birthday, Tyler’s weight changed only 8 pounds, according to the report. Initial reports listed his weight at 33 pounds at his death, but his autopsy found he weighed 28 pounds. At Lake Spokane Elementary School, DeLeon reportedly instructed the boy’s teachers to strictly monitor his eating and drinking. According to Sugar’s report, the school received a four-page letter from DeLeon, in which she contended the boy had returned home from school with feces on his shirt and bloated from drinking toilet water. The records indicate school officials were concerned about Tyler’s health but did not note the unusual eating or drinking. One teacher said she had never seen a child with more injuries in her 14 years as an educator, according to state documents. On April 23, 2004, according to an appendix to Sugar’s report, DeLeon contacted Sandy Nuechterlein, a second-grade teacher at the school, to express her frustration. DeLeon had previously reported that Tyler repeatedly defecated in his pants, according to the report. What was the state’s role? The agency received numerous reports of Tyler’s injuries – a chronology compiled by the state included reports of a deep laceration on his hand, multiple bruises, a broken femur, and the forcible loss of two teeth, according to Sugar’s report. Yet the agency did not intervene, even after one of its own investigators, who apparently felt threatened when Burns-DeLeon approached him with a chisel in her hand, “strongly” recommended that DeLeon’s adult daughter not have contact with the children, according to internal agency documents. State officials have declined to discuss details or release any files because the case remains under criminal investigation. Another crucial misstep appears to be the destruction of a 1988 report in which a physician found belt marks, rope burns and bruises on a 12-year-old girl in DeLeon’s care. The girl allegedly told officials that DeLeon and her boyfriend bound her wrists and left her in a basement for 10 hours as punishment for eating three packages of cheese. The state’s Child Protective Services removed the girl from the home but later destroyed the report while routinely expunging old records. When DeLeon applied for a foster license in 1996, state officials were apparently unaware of the past report. It exists today only because the Stevens County Sheriff’s Department kept a copy of the report. Had the agency known of the report, a Spokane supervisor said earlier this year, it would not have allowed DeLeon to care for foster children. 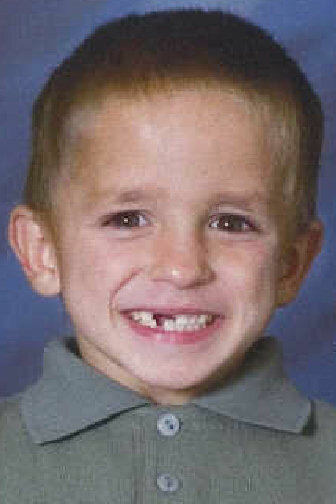 According to an appendix to Sugar’s report, Tyler DeLeon was placed in the home in May 1998, less than five months after his birth. In his years in foster care, Tyler experienced “an excessive number of injuries,” Sugar wrote. Sugar noted several other “very concerning” injuries at separate points in Tyler’s life: bruises on his buttocks and arms; blood in his ear with no diagnosed infection; bruises on both sides of his mouth; a bruise on his abdomen; and bruising on both cheeks. According to a January 2000 entry in the report’s appendix, a social worker reported that DeLeon stated Tyler’s biological mother had used methamphetamine – but the social worker found “no history” of meth. There was “no evidence that Tyler was anything but a healthy baby until (DeLeon) reported … that he shakes all over when excited,” according to notes from the letter to Tyler’s pediatrician from the social worker. A psychologist who evaluated Tyler in 2002 found Carole DeLeon and Tyler’s teachers “had very different ratings of his behavior,” according to Sugar’s report. The psychologist ventured that the boy might have a pervasive developmental disorder – a spectrum of conditions wherein children have impaired social interaction and communication skills. Sugar said there was “no reason” to believe that DeLeon deliberately distorted her reports of the boy’s behavior. “However, there is strong reason to believe that the relationship between Ms. DeLeon and Ms. Burns and Tyler was extremely negative, and that his behavior may have been at least in part in reaction to treatment of him,” Sugar wrote. Sugar said she did not have specific information on the final days of Tyler’s life – how long he had been ill, or how he appeared to other people who saw him. Tyler’s autopsy left other questions unanswered. Tyler reportedly had the flu at the time of his death, yet the medical examiner’s report said test results from the Center for Disease Control and Prevention in Atlanta, found no evidence of several common flu viruses. However, the medical examiner could not definitively state that Tyler DeLeon was not ill, according to a copy of the autopsy. The autopsy said Tyler had been vomiting and that his siblings had similar symptoms the previous week, but it did not state the source of that information. This spring, Child Protective Services removed the remaining children from DeLeon’s home and revoked her foster license. In a Stevens County courtroom in July – in a hearing to determine the placement of the four remaining foster children from DeLeon’s home – assistant Attorney General Dannette Allen said the child’s emaciated condition was “a contributing factor to his death. “Why is it she did not feed this child?” Allen asked. Oreskovich, her attorney, argued that the four children should be placed with DeLeon’s parents, Joe and Greta Silva, who live next-door to DeLeon. The judge sided with the state’s Division of Children and Family Services, which objected to placing the children with Carole DeLeon’s parents. In testimony, social worker Katie Paull stated that the Silvas did not believe the allegations against DeLeon, and thought the children should be returned to her care. “The department is very concerned that they don’t understand the risks,” Paull said. DeLeon’s mother, Greta Silva, a 72-year-old retired school secretary, said she hoped to reunite the foster children, who are currently living in several different homes. Joe Silva, a 74-year-old retired traffic engineer, said he would not allow DeLeon to have visits with the children unless they were approved by the state.